Your mom wants Uncle Basil to sing at the wedding, Aunty Dot wants her darling daughter to be a bridesmaid and your grandma insists that her favourite blooms will be perfect for your bouquet. Whilst planning a wedding, there may be times when you’ll feel like this is not really ‘your’ wedding but ‘theirs’. You may assume that only shy, quiet brides fall into this category. But believe you me, as a confident, outspoken woman I still have to remind myself to speak up and let my thoughts be heard. Because before you know it, you have nervous cousin Eddy taking the photographs, a distant cousin as a bridesmaid and grandma’s doilies decorating the tables. Here are some ways to withstand the pressure. Please note, I myself am still learning the art of this.. Listen first and learn to say no politely. There really is a better way of declining family’s suggestions than merely saying no. Of course you have your own ideas, but there is no harm in listening to some of theirs. Perhaps you’ll find inspiration in a few of them and others may cause you to cringe on the inside. But remember that your aunts, mother and cousins are extremely excited for you, so allow them to play a part in it all. Learn to compromise, starting now. While a few brides may have momentarily forgotten- this is your fiance’s big day too. Whilst you think his big moment came and went with the proposal, marriage is a celebration of two lives joining together as one. You now have the blessing of new family in the shape of your future in-laws. They are just as excited about the wedding as your own mother. Their only or first-born / eldest son is getting married and it’s a big deal for both families. Whilst it’s easy to have everything your way, there are some things that your fiancé may want differently. If you choose the processional song, let him have the recessional one. If you know the exact design you want on the invitations, at least let him have SOME input in the suit he’s wearing and the way he combs his hair. 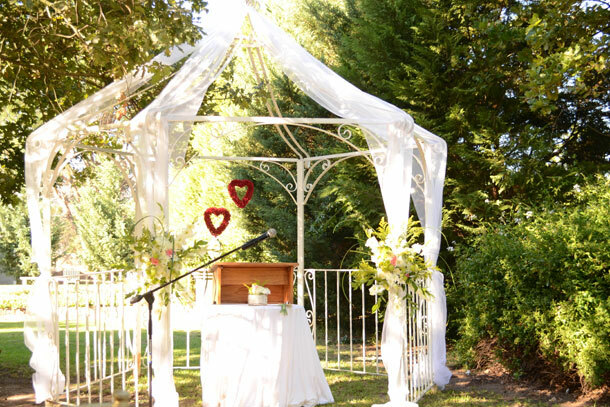 It’s of vital importance that you have a clear vision of what you’d like your wedding to be like. I’m not implying that you need to know the exact shade of the table runners, the amount of candles and flower arrangements on each table from the get go. As you plan, this will come. Handle one element at a time in your own pace. But at some point, you will need to be sure of which flowers you’d like, perhaps even sketch table mock-ups of where you’d like each item of décor. Because if you aren’t sure, you’ll arrive on the day to find strange decorations all over the place and it will be no one’s fault but your own. Do bear in mind that everything may not go according to plan and that’s ok too because you get to go home with him. Forever.